As providers enter at-risk payment models, they are learning to benefit from closer working relationships with payers. Through risk-sharing agreements such as ACOs, leading organizations are acquiring hands-on exposure to strategies and tactics to address delivering value-based care, even as most care is still delivered under fee-for-service reimbursements. They are seeing that a new era of accountability is emerging, and providers know that they and their payer partners need to come to an understanding about the performance metrics for value-based care. With accountability comes increased dependence on data, to be recorded, shared, assembled, and analyzed. Providers should expect to dedicate resources to meeting stricter data integrity requirements, and to administering what are becoming closer working relationships with payers. 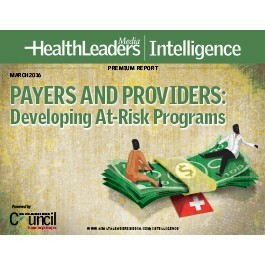 The leading areas of improvement most sought after in upcoming commercial payer negotiations. What commercial reimbursements processes need to be improved to better work within provider organizations. How UC Davis Health System partnered with Anthem Blue Cross to enhance care coordination through data and analytics. How data and metrics are factoring into payer negotiations. How OSF Healthcare System is improving aspects of quality, safety, patient satisfaction, and cost through ACO relationships.